In December 2010, the installed power generation capacity of India stood at 165,000 MW. The Eleventh Five-Year Plan (2007-12) target of setting up 78,000 MW of new generation capacity. The power requirement in India is expected to grow manifold in coming years as a result of industrial and urban expansion, growth in household consumption and electrification of rural areas. India's demand for power will soar to as much as 3,15,000 MW by 2017, requiring an investment of $600 billion (Rs 25,80,000 crore) if the economy keeps its pace of growth at 8% . In its quest for increasing availability of electricity, India has adopted a blend of thermal, hydel and nuclear sources. Out of these, coal based thermal power plants and in some regions, hydro power plants have been the mainstay of electricity generation. Thermal plants at present account for 64% of the total power generation capacity in India. This is followed by hydro-electricity (23%).The rest comes from nuclear and wind energy. 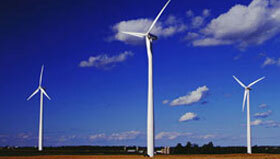 Renewable Energy in India is a sector that is still undeveloped. The share of RE in the energy sector is less than 1% of India's total energy needs. 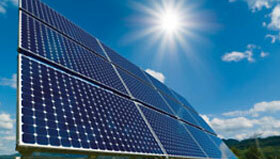 In July 2009, India unveiled a $19 billion plan to produce 20,000 MW of solar power by 2020. The last 10 years have witnessed a tectonic shift in the Power and Resources landscape at a global level. There has been a resurgence of Carbon Commodities like Coal and Natural Gas in emerging economies. More than 50% of India's commercial energy demand is met through coal based power plants. Other sources of energy like Nuclear, Solar and Hydro Energy have also made a significant presence in the energy matrix. The manner by which resources, energy and power are sourced, distributed and regulated globally is undergoing a fundamental change. We believe that significant capital investment would be required to expand, diversify and optimize the world's resources. Many governments are reviewing and rewriting current regulatory policies and gradually bringing their resource sectors into an era of open competition, creating numerous investment opportunities. Eternus is uniquely positioned to leverage this opportunity that has already begun to unfold. We assist a variety of Indian power companies for acquisition of late stage power projects, finding the strategic partner partners for equity infusion or just raising debt for the closure of such projects. Through our long standing experience and our active coverage through our seasoned professionals, we provide our clients unparalleled market intelligence and the necessary strategic and corporate direction to unlock value for future growth.